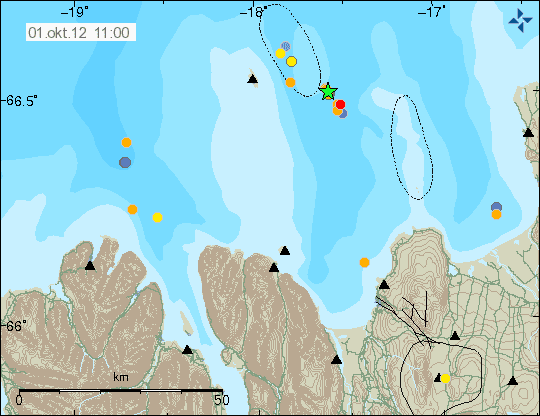 A small earthquake swarm took place at the Tjornes Fracture Zone in the past 48 Hours. Only 1 tremor was larger than magnitude 3. The swarm may be purely tectonic.